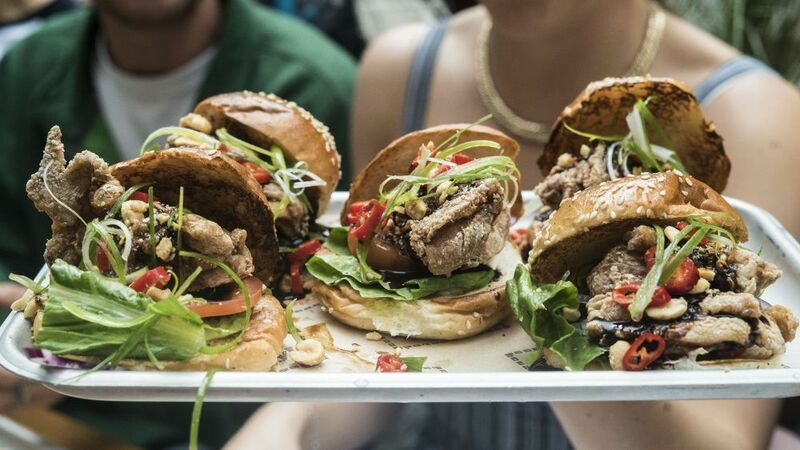 Burger Theory has been built from the ground up with real grass roots, powered by an insatiable quest for better, fresher and more creative burgers. 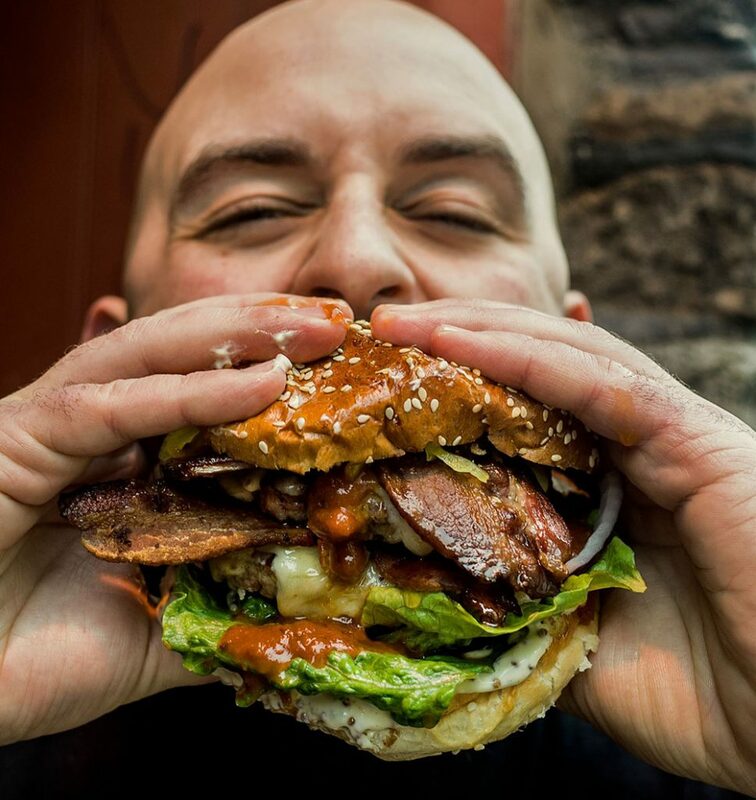 Founded in 2012 by chef Rory Perriment he began experimenting with different recipes inspired by world cuisine and realised he wanted to challenge the boundaries of what can go in a burger. With the menu philosophy set, we took our delicious new creations to festivals and food fairs around the country. 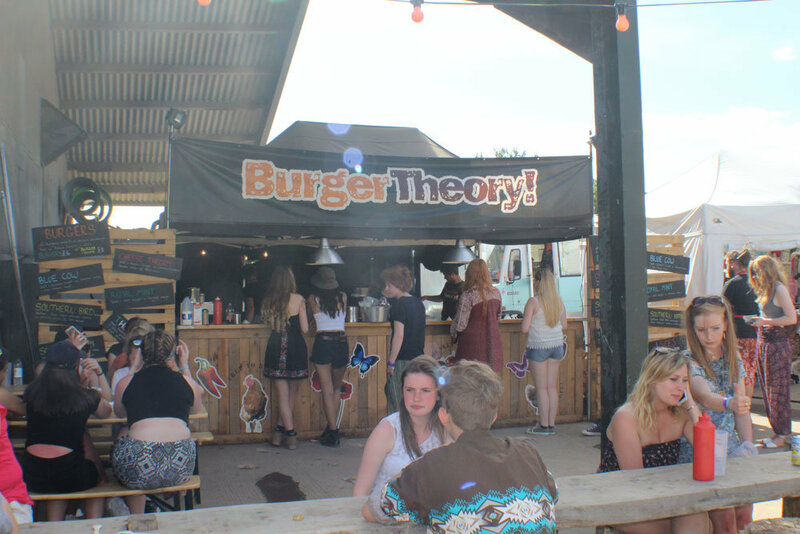 The Burger Theory stall can now be found at weddings, street food events and music festivals throughout the land, manned by co-owner Oli and his happy band of burger loving chefs! Check out the “Festivals” page to see where we will be this year. 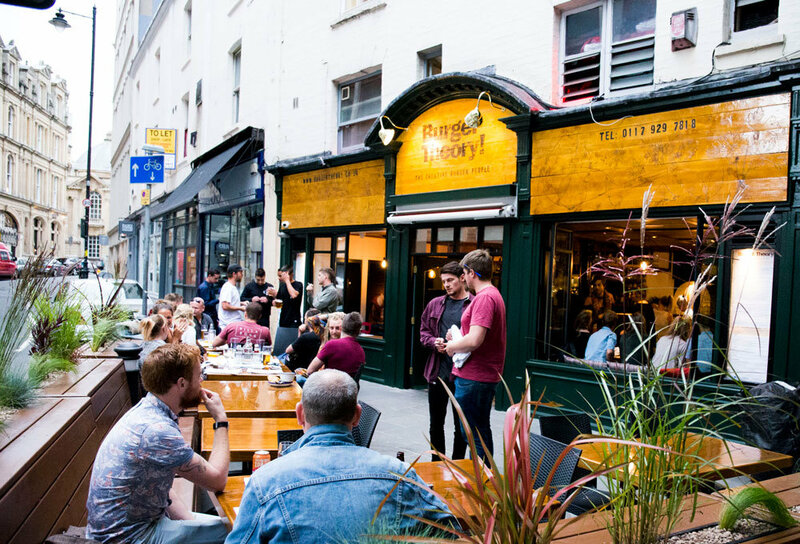 Over the years, Burger Theory has taken residency in various Bristol venues… The Golden Lion, Kongs Bar on King Street and we’ve had pop-up’s at The Old Bookshop and the Crofters Rights. At Kongs we met head chef Nick who completed the Burger Theory trio who run the company today. We finally secured our own site in January 2017 on St Stephen’s Street and after raising just over £6000 on Crowd Funder from you lovely lot, the doors to our first restaurant opened on 16th August 2017 and here we are! 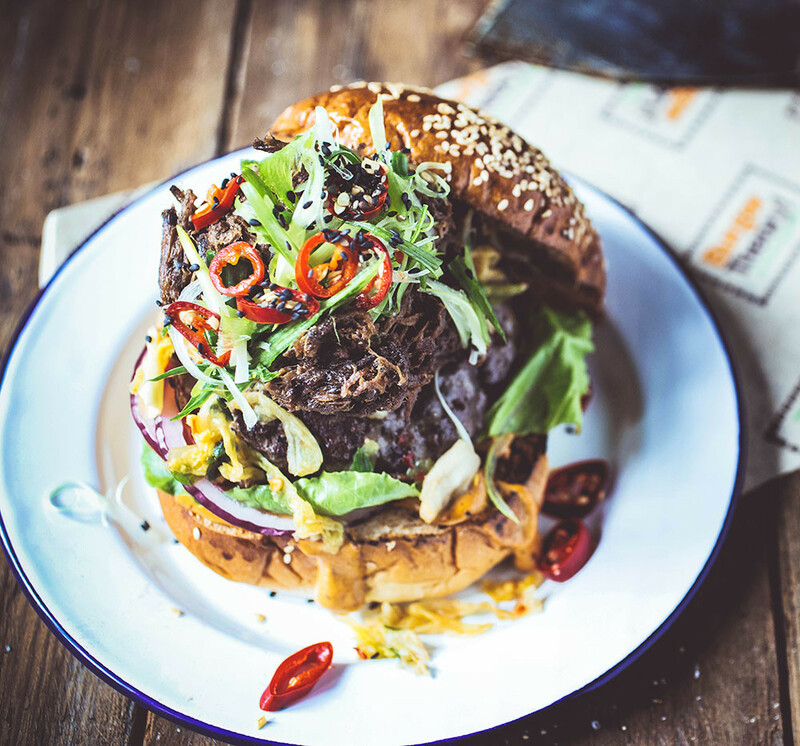 To innovate burger cuisine and bring happiness to the world through the medium of burgers! Want to learn trick or two? Sign up to our newsletter and be the first to hear about new blog posts with tips, tricks and recipes!